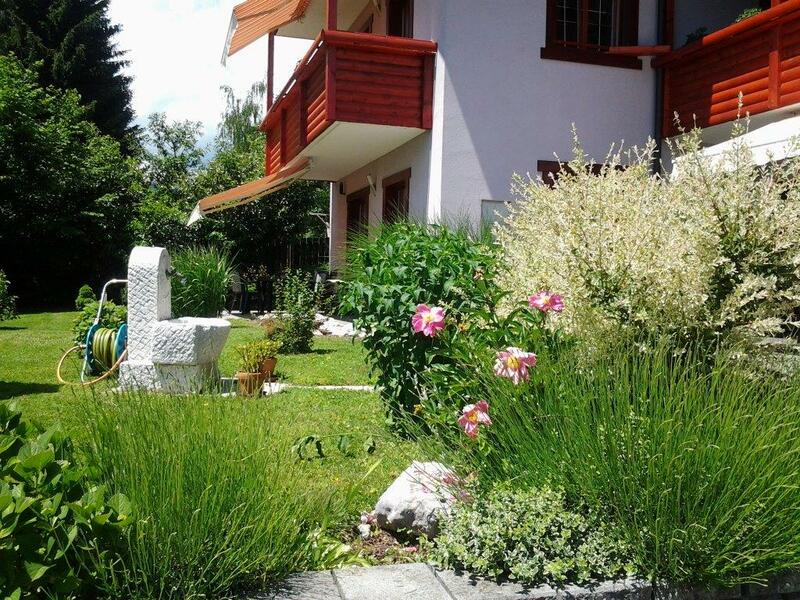 The apartment house Florjana stands on a quiet place, 2,3 km away from Bled centre and 1,3 from lake Bled. 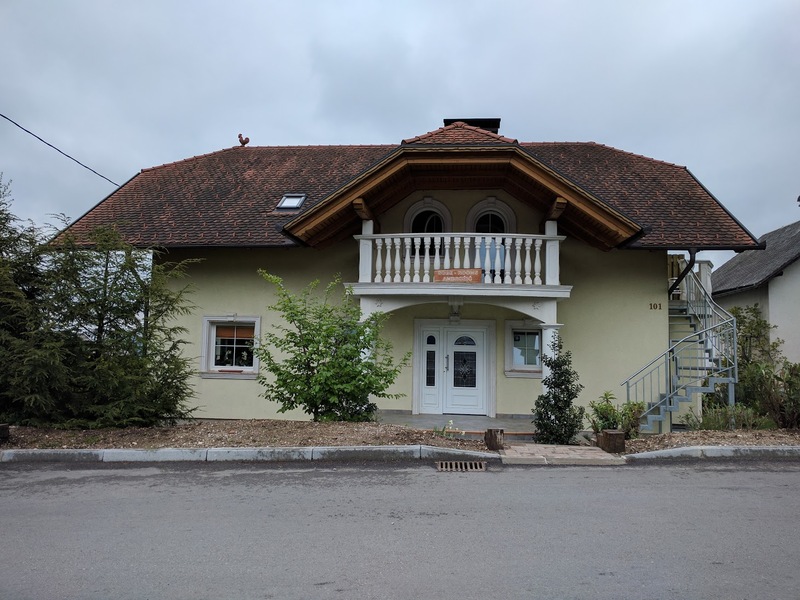 There are two very spacious rooms, nicely equipped apartments, with a balcony or a terrace and a possibility to use a grill or a big garden with an idyllic view on the Alps. There is also free Wi-Fi access, SAT TV and parking spaces. 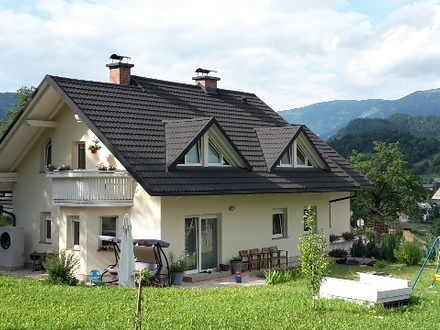 It’s a perfect location for enjoying the peace and the untouched nature, near the wonderful Vintgar gorge, Pokljuka, Radovna river valley, encased with the peaks of the Julian Alps. Our guests have special discounts on all trips, rides and activities. There are rooms and an apartment in the house, so that the guests can cook on their own, if they wish. In front of the house, in the garden, they can take all the vegetables they need, additionally the Zupan’s provide them with eggs, milk and other. In winter, where there’s less work on the farm, the host offers the guests all kinds of meat and dried meat products, minced lard, milk and other milk products (special treat are fruit-milk drinks), specialty for breakfast are fried eggs with home-made cracklings. The apartments are modern equipped and offer the necessary comfort you need for your break to be pleasant and unforgettable. 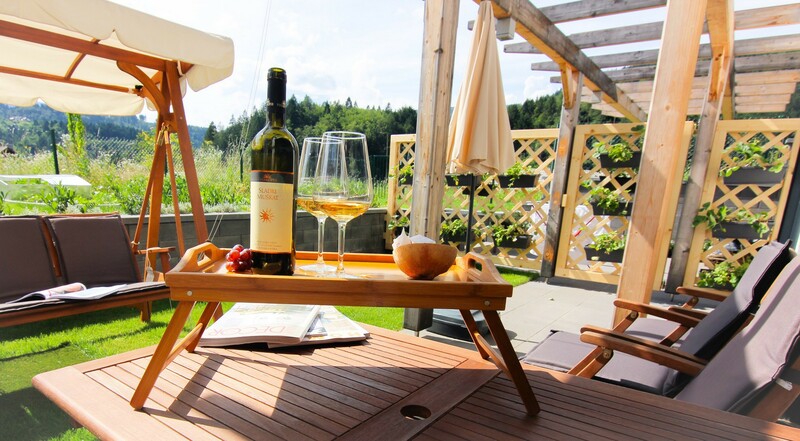 We pride ourselves on a great view of the surrounding hills and Bled itself. When the weather is clear, the breath-taking sunrise greets you into the day and the sunset wishes you a good night. 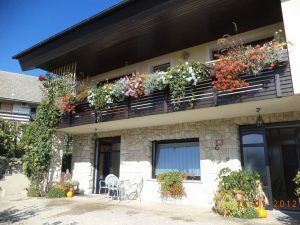 Stepanjan apartments Krnica, Zgornje Gorje is located on a nice and quiet place, suitable for relaxing or for sports activities. Next to the apartment is a bicycle track that takes you to the beautiful Radovna valley and Krma. 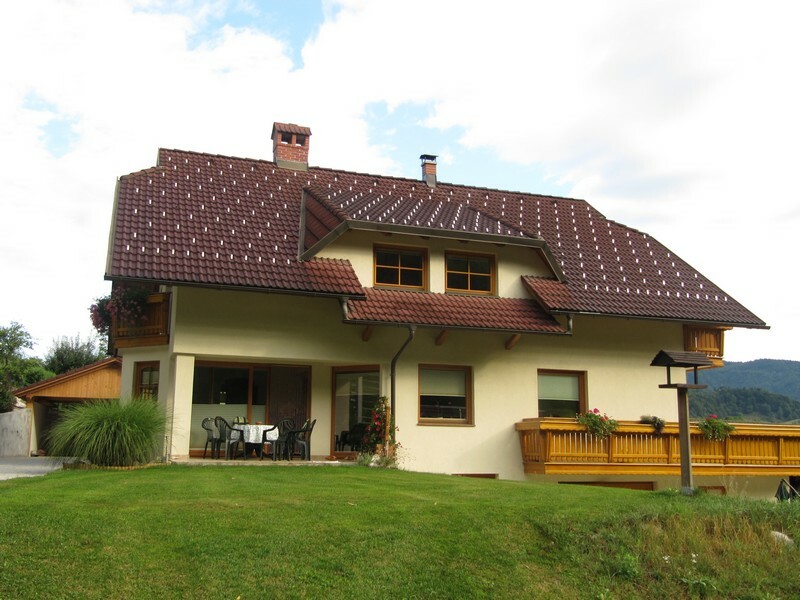 The apartment is also a great starting point for different trips to the mountains (hiking, climbing). The apartment hast free Wi-Fi and parking space. You also receive a going away present. 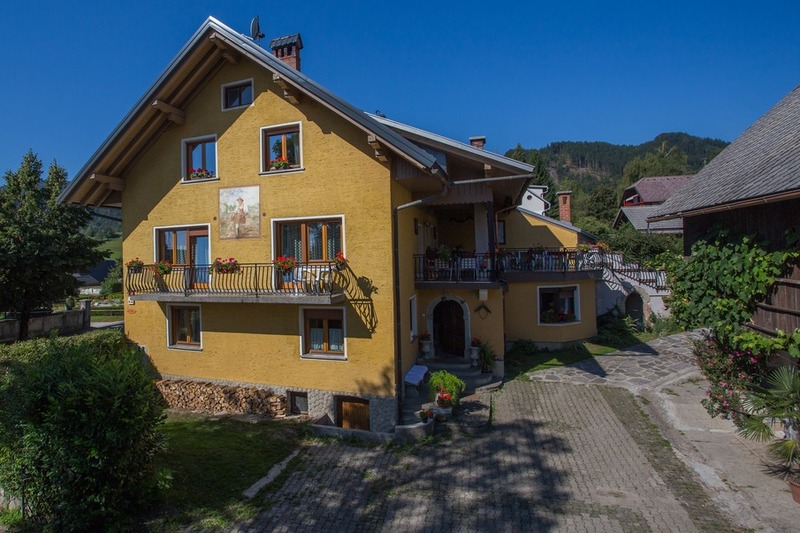 The apartment is in a wooden cabin located on Zatrnik, in the middle of Triglav National park, with a wonderful view of the nature and mountains. In the vicinity there’s possibility of trips, bike rides, walks, fishing, skiing, cross country skiing, picking mushrooms. Near there is also our restaurant Zatrnik Pr’ Jagru and a small ski slope for kids. 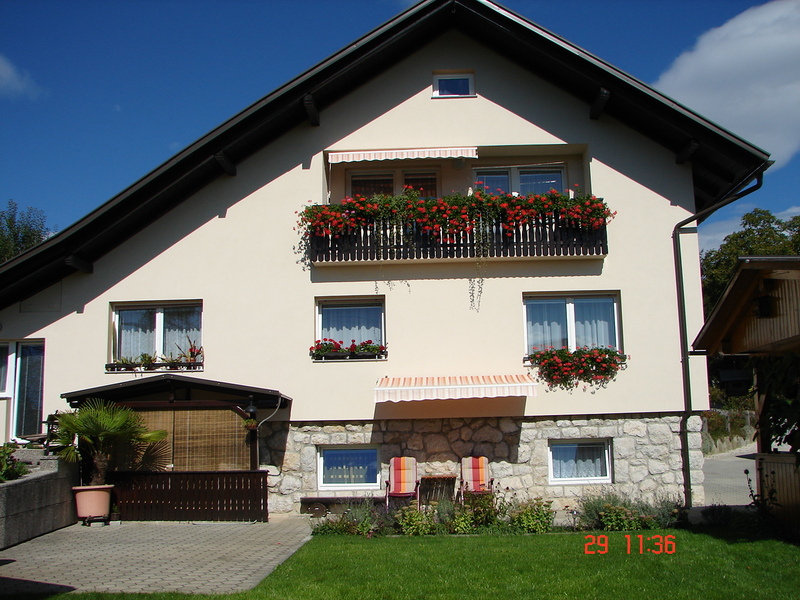 The apartment is in a friendly village Krnica, where the paths towards Bled, Radovna and Pokljuka cross. The village is only 4 km away from lake Bled. You connect with the nature and the life in it. 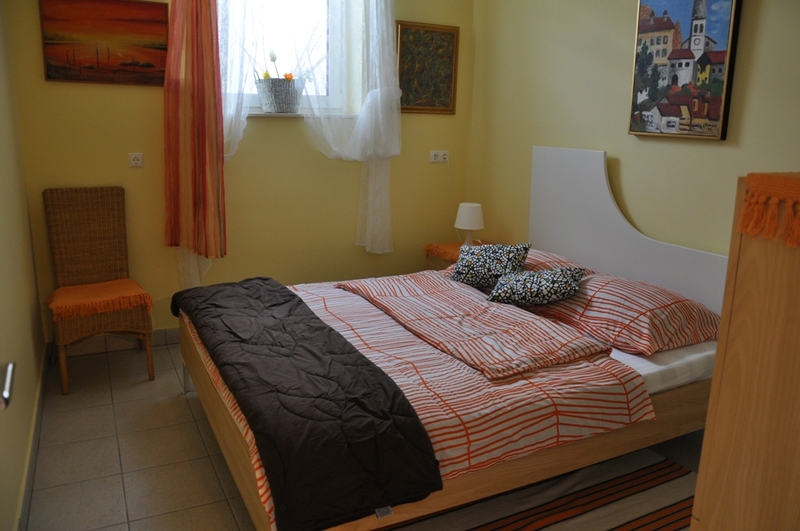 The apartment is for 5 persons, 60 m2 big with a 20 m2 terrace and a garden. The rooms in the apartement are: kitchen, living room, bedroom and a bathroom. It’s fitted with a LCD television and has Wi-Fi access. There are 4 bikes you can use and a playground for children. 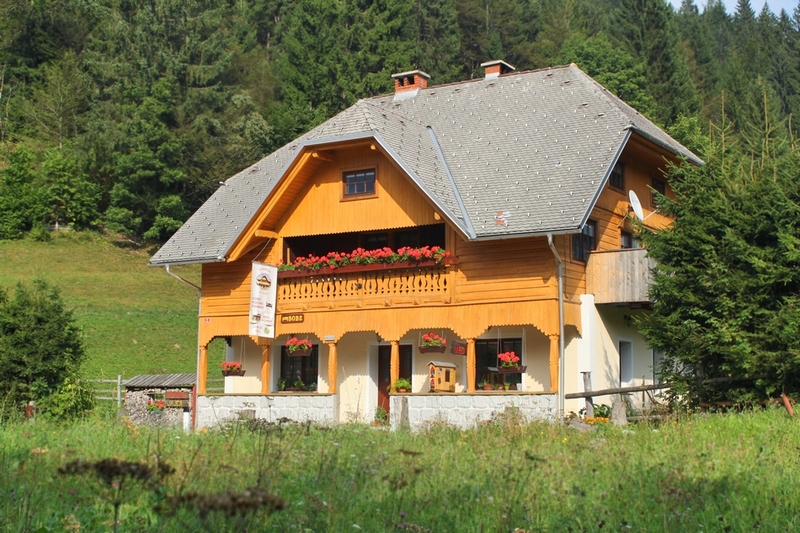 There is also many interesting tourist points near: Radovna, Grajski mlin, Vintgar, Pokljuka gorge, Pokljuka and Bled. 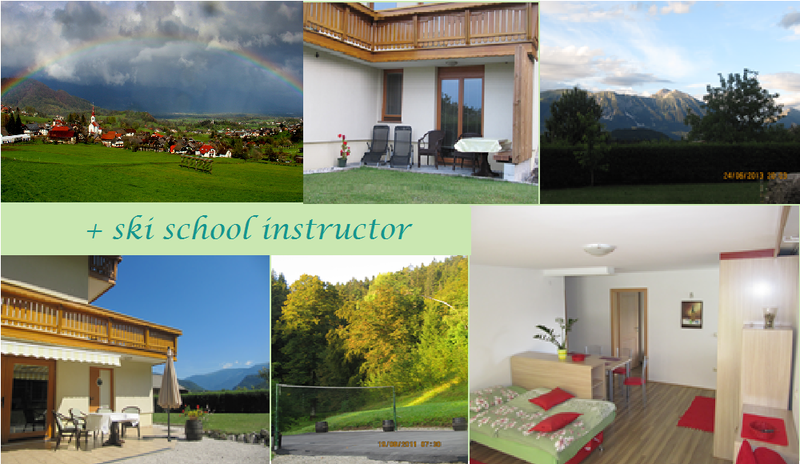 Our home is located in a beautiful green area, surrounded by the forest and meadows of the Triglav National Park. We will be happy to assist you with your travel plans. 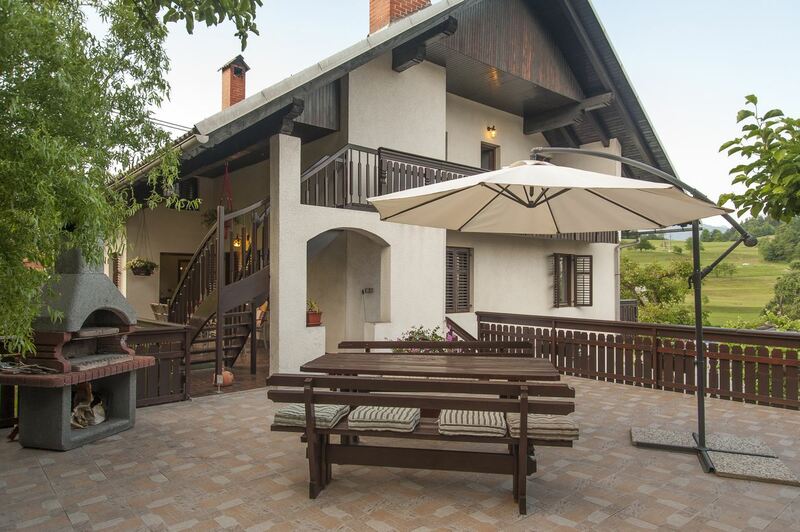 In the idyllic village Spodnje Gorje, 3 km away from Bled, theres a friendly family waiting for you, with 2 equipped apartments for 5 or 4 people. 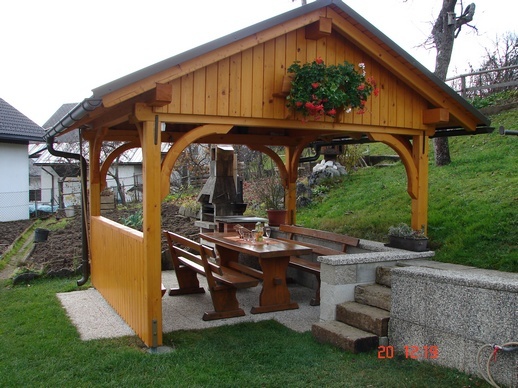 The guests can also use the garden shed, where they can grill. Gorje and Bled with surroundings are great locations for biking, fishing, rafting, walking, riding and swimming. In winter days, you also can ski and cross country ski. 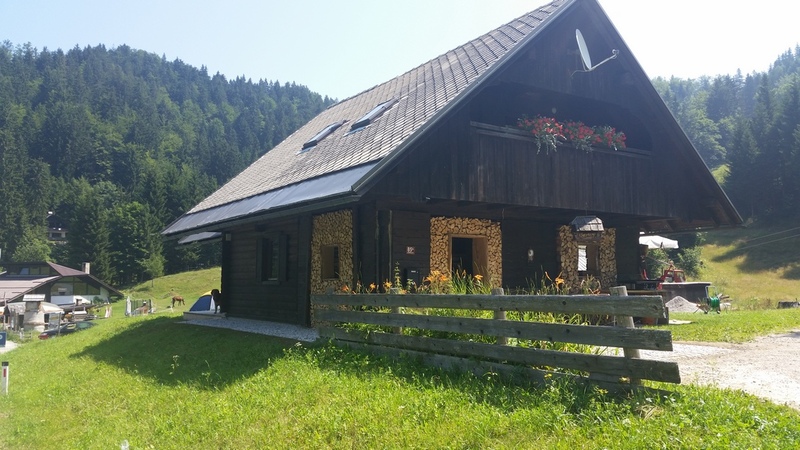 You can find us in the vicinity of the Vintgar gorge, you can go trekking in the Radovna valley, have a look at the famous Pokljuka gorge or go for a romantic walk around the lake Bled. For the ones hungry for adventure, the location is a great starting point to visit Julian Alps and Karavanke. 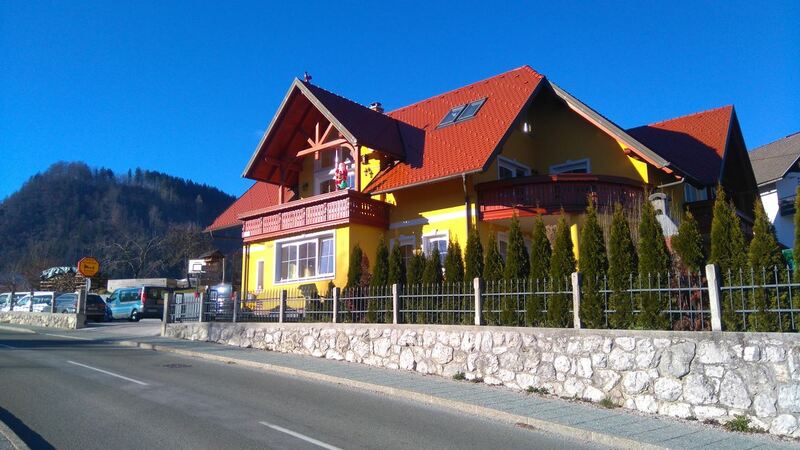 Two kilometres away from lake Bled, on the main road towards Pokljuka and Vintgar Gorge, you can see the Požar vacation apartment, just at the beginning from Spodnje Gorje village. 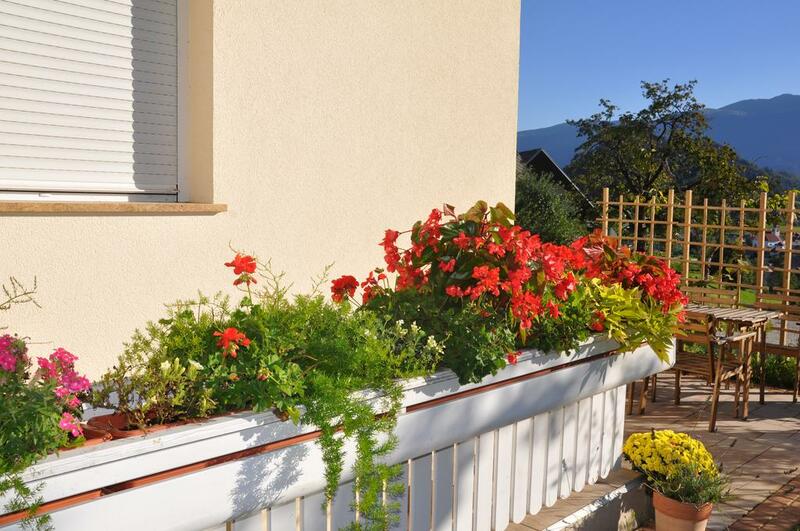 The apartment is surrounded by a garden and offers our guests a comfortable accommodation. We offer free parking space and internet (Wi-Fi). The apartment measures 48 sqm and offers the necessary comfort you need for your vacation to be pleasant and unforgettable. The modern equipped apartment has a park space, as well as its own entry and exit to the terrace. The house is surrounded by a beautiful garden with a rockery and a pond. Near the house there is a childrens playground, a shop and a village pub where you can try delicious traditional food. 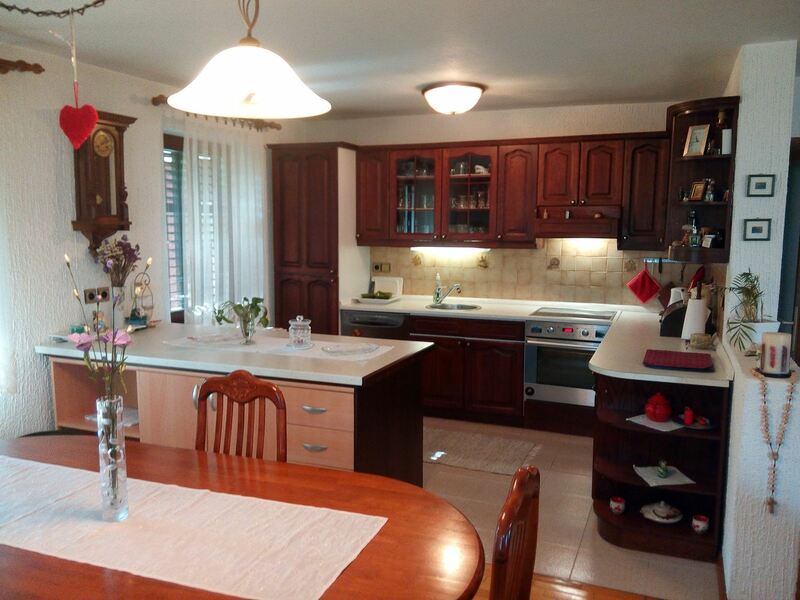 It has: 1 bedroom with a double bed and a single bed, full equipped kitchen, living room with a sleeper sofa for one or two persons, cable TV, wi-fi, bathroom, wc, shower entrance hall. You can enjoy your holiday in one of our comfortable and fully equipped four-star appartments, where you have free WIFI internet access, private parking and more. 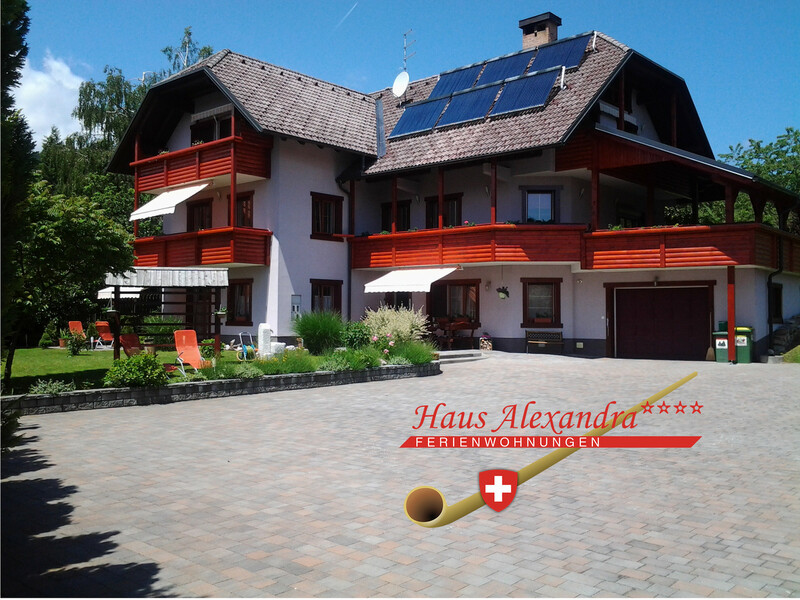 We are a Swiss family and it will give us great pleasure to show you our wonderful surroundings in Gorenjska more closely. Enjoy your holiday with us and delight in the surprises while staying in our Swiss house. 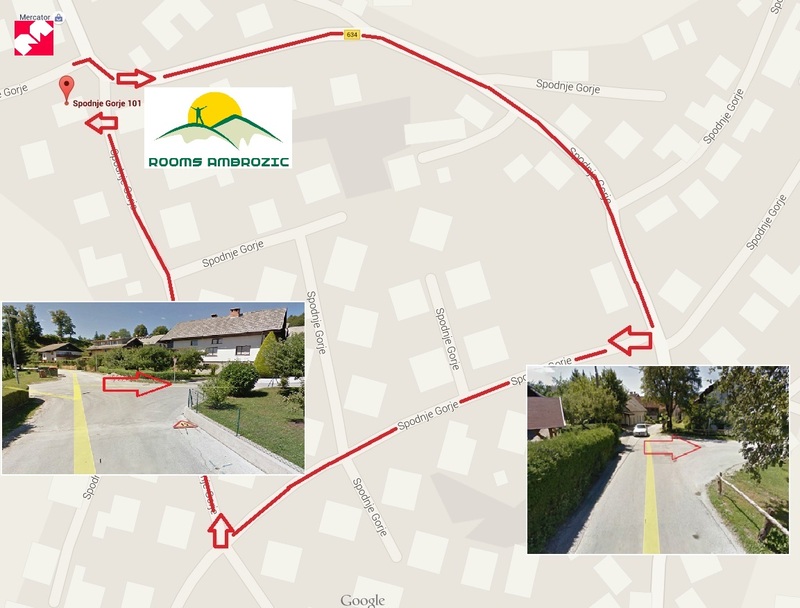 We are located in the centre of the friendly village of Zgornje Gorje, close to Bled. We will be delighted to welcome you to our house Alexandra. Active! Family! Culture! Adventurous! Romantic! Sports! Natural site seeing! Passive house environement and technology! Hiking! Biking! Take a trip with AMS Beagle and its crew and sail into an experience that will touch you. 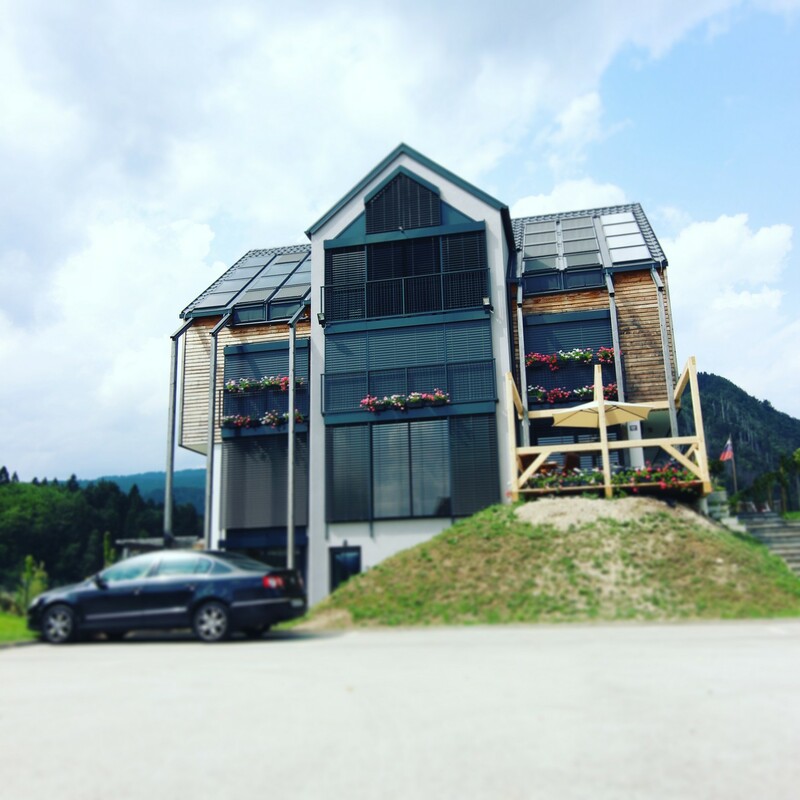 We offer state of the art accommodation and individual boutique design of your time spent with us in a beautiful environment above the Vintgar gorge and Lake Bled, under the Pokljuka plato in a state-of the-art technological passive house. Perfect base for any type of activities you would like to get engaged into.